Can we all just agree that one of the best parts of the Oscars has to be the red carpet? Before the show even starts, we’re wowed as we fawn over the lewks we can’t get enough of. And if there was one star who made our jaws drop, it would have to be Margot Robbie. She’s nominated in the Best Actress category for her starring role in I, Tonya, and it’s clear that win or lose, she won the carpet. It was just announced, today, March 4th, that the 27-year-old is the latest brand ambassador for Chanel, so you can guess what she’s wearing, right? That would be Chanel. But this isn’t just any old dress. Robbie’s gown was designed just for her by none other than Karl Lagerfeld. And we know that the joy is always in the details, but her dress perfectly mixes a classic cut with impeccable details that took hundreds of hours to create. From a distance, the gown is absolutely gorgeous and the long silhouette perfectly complements Robbie. But when you get even closer? That’s when the details seriously pop. The Chanel haute couture gown features a corset bodice that includes a 3-D band of crystal tubes and draped garland-like, off-the-shoulder sleeves. It’s no wonder this red carpet gown took more than 600 hours to create. For an even better close-up, Robbie’s stylist, Kate Young, gave us a great view. When you’re wearing Chanel, it only makes sense that you just keep the theme going. Robbie rounded out her look with a Chanel ring and 18-karat white gold and diamond rings. Her gorgeous chain strap purse looks like a work of art. 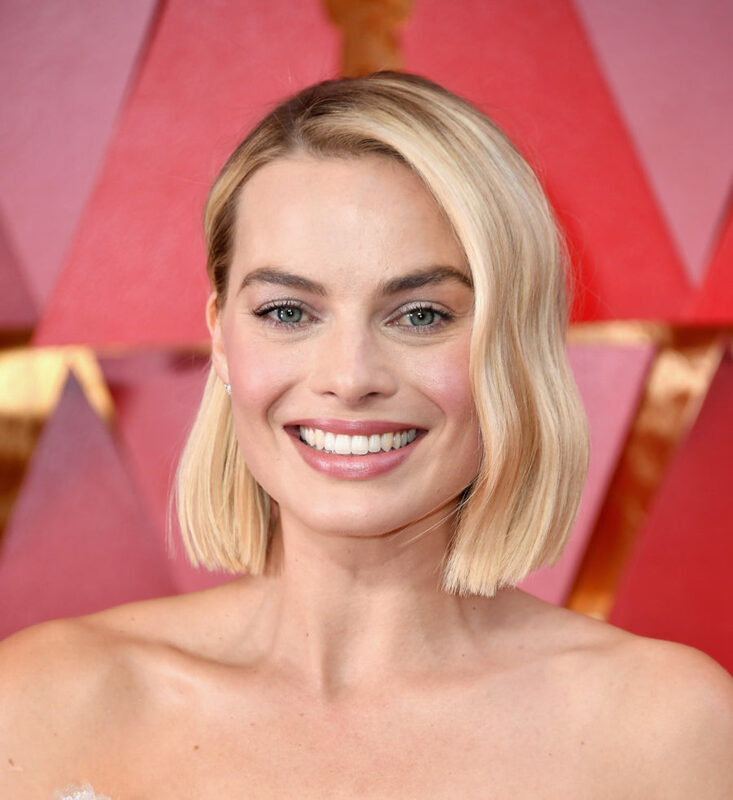 We’re here for this look and, hopefully, Robbie can take home her first Oscar in this stunner.